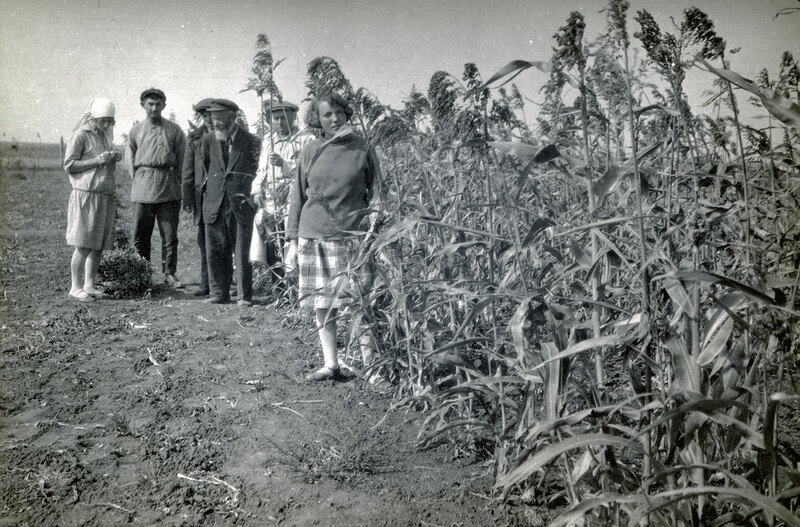 The tragic history of Agro-Joint, a Jewish agricultural initiative launched by JDC in cooperation with the Soviet government in the late 1920s. A product of eight years of research in repositories across Ukraine and Russia, The Final Chapter: Agro-Joint in the Years of the Great Terror, by Misha Mitsel, Senior JDC Archivist, has just been released by JDC. It chronicles the tragic history of Agro-Joint, the American Jewish Joint Agricultural Corporation, an agricultural cooperative established by JDC in cooperation with the Soviet government in the late 1920s to train and resettle Jews as farmers in Ukraine and the Crimea. In the wake of the Russian Revolution, thousands of Jews in the Soviet Union were labeled unproductive citizens and deemed ineligible for governmental welfare and medical services. 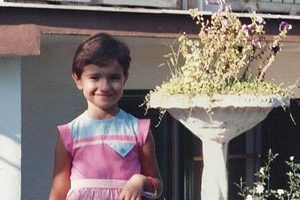 In response, JDC initiated programs devoted to rendering these Jews economically self-sufficient and training them to live off the land while gaining full citizen status and privileges. Agronomist Samuil Mazo, one of the Agro-Joint staff accused of ‘counter-revolutionary activities,’ with farmers. Ukraine, 1930s. The Final Chapter focuses on Agro-Joints final years. 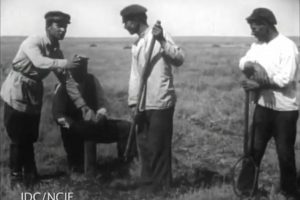 During the Great Terror of 1937-1938, Agro-Joint staff, members of Jewish collective farms, and refugee doctors from Nazi Germany who had resettled in the Soviet Union were accused of collaborating with counterrevolutionary organizations and persecuted in three regions: Moscow, Ukraine, and Crimea. 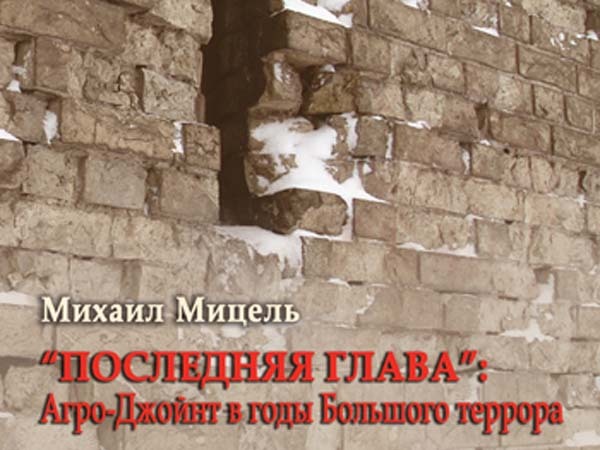 The book, written in Russian with a substantial English-language section, was published by the Center of Studies of History and Culture of Eastern-European Jews at the National University in Kiev, Ukraine. It features never-before-revealed primary source materials from KBG archives in the former Soviet Union, including the interrogation files of all Agro-Joint employees arrested in Moscow, Dnepropetrovsk, and Crimea, and offers detailed and chilling portraits of the brutal fates many Agro-Joint staff and colonists suffered during the Great Terror. The English-language chapters feature detailed lists of those arrested, short biographies, and four samples of archival documents that appear in the Russian text. The genesis for this project emerged in fall 2005. 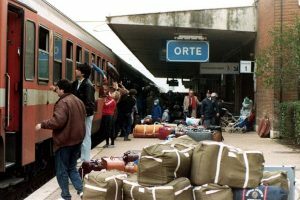 While conducting research for an online memorial to JDC personnel who had died in the course of their service, Mitsel says, he realized that the documentary records of Agro-Joint were rich and tragic and unknown materials that [needed] to be presented in a different way to pay tribute to the victims of this tragic episode. For a further introduction to this time period through historic documents and images, visit JDCs exhibit Beyond Relief: JDCs Work in the Ukraine and Crimea between the Wars.